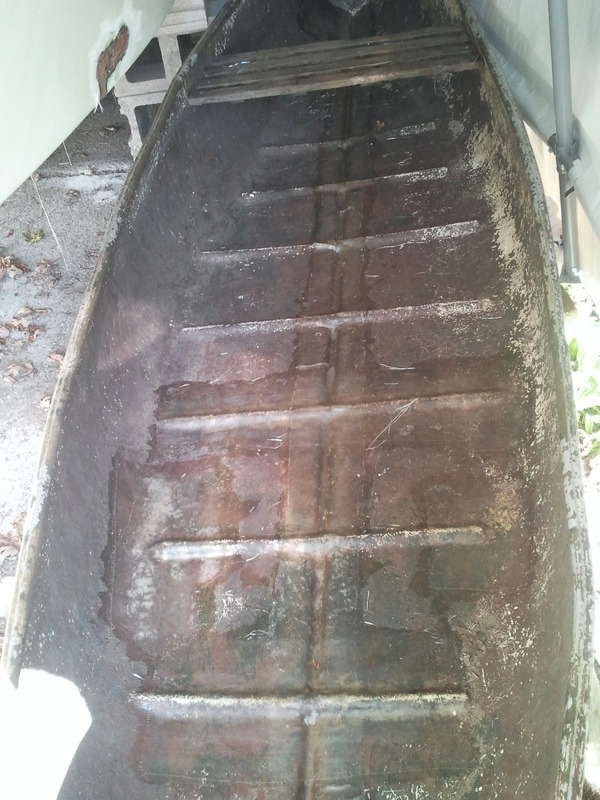 So, for a long time, the ditch boat has looked like a hollow, dusty shell. 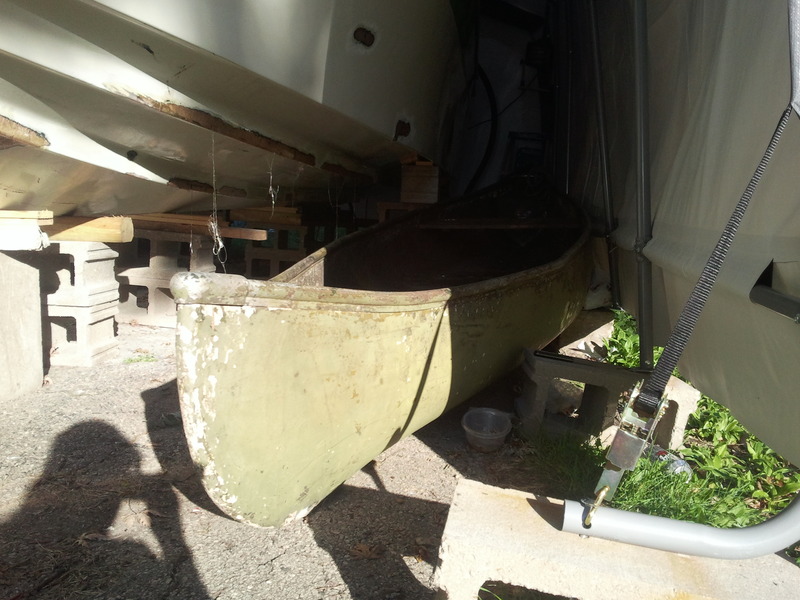 Matt’s been slowly laying fiberglass to repair holes and cracks to make her float again. Well, a few weeks ago, the last bit of fiberglass was laid on the inside of the hull, and construction of the floor began. First the supports for the sides of the engine cavity, and then the space for the gas tank. The new plastic gas tank laid in place, with supports over the top. 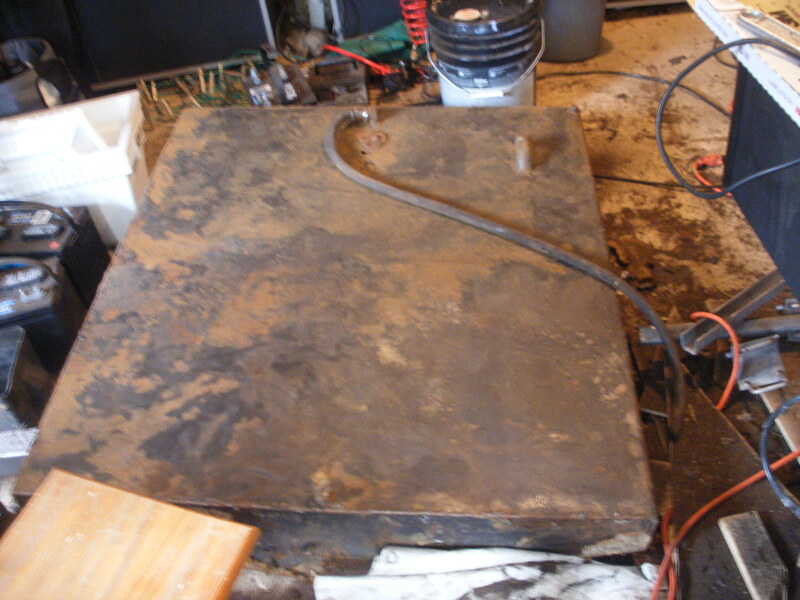 The plywood of the floor laid over the tank. And the rest of the floor laid over the 2X4 stringers, fiberglassed and screwed into place. The small doorway to the head, once it gets put back in. It looks like it might be a boat again. 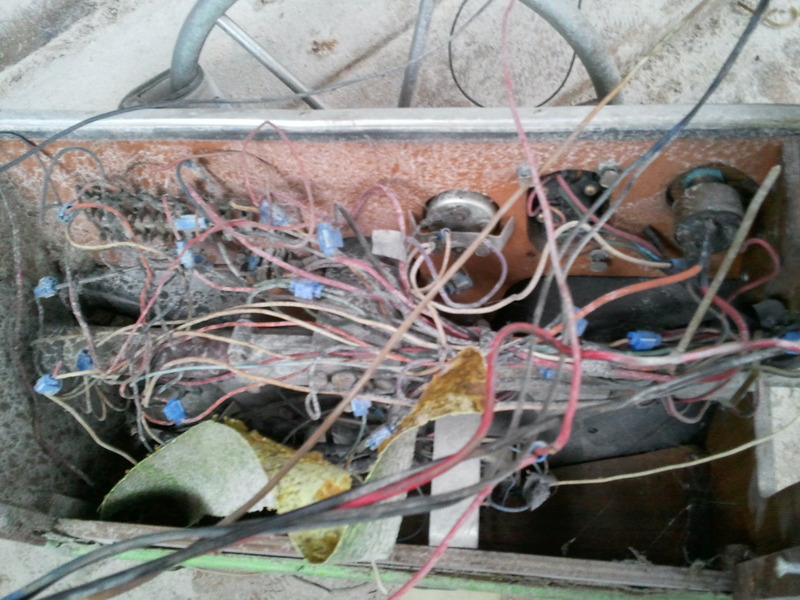 We also cleaned up the console, and did a lot of re-wiring. Mounting the console to the wall. It’s looking like we’ll need to replace the motors for the windshield wipers- they’re fried. It may need a new foghorn as well. 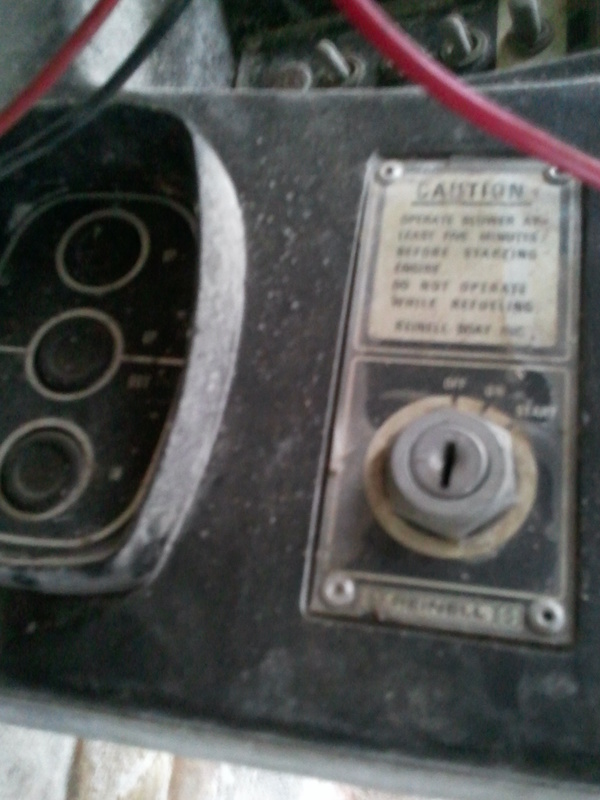 The anchor lights all work, and the new bilge pump is wired in correctly as well. 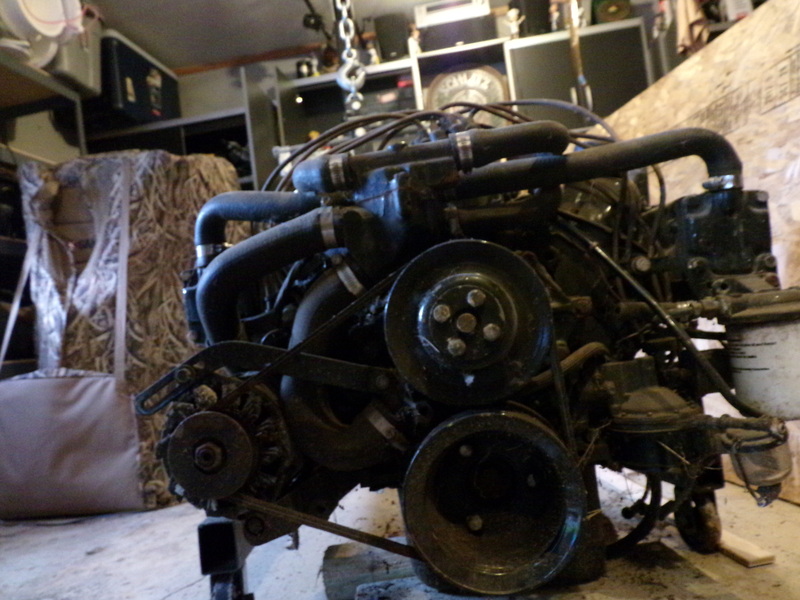 Over the weekend, we also pulled the engine out the corner it was sitting in and began cleaning it up a bit. 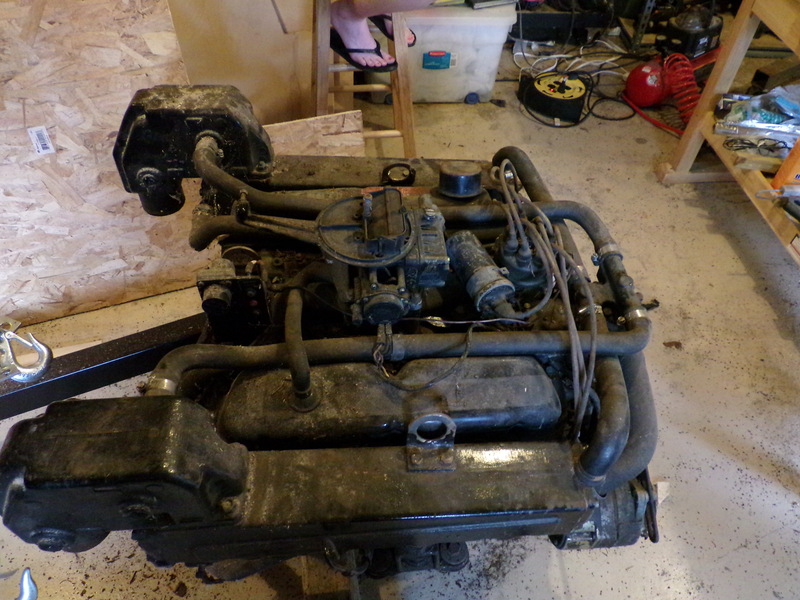 So far, we’ve gotten the fuel filter and the carburetor off of it. 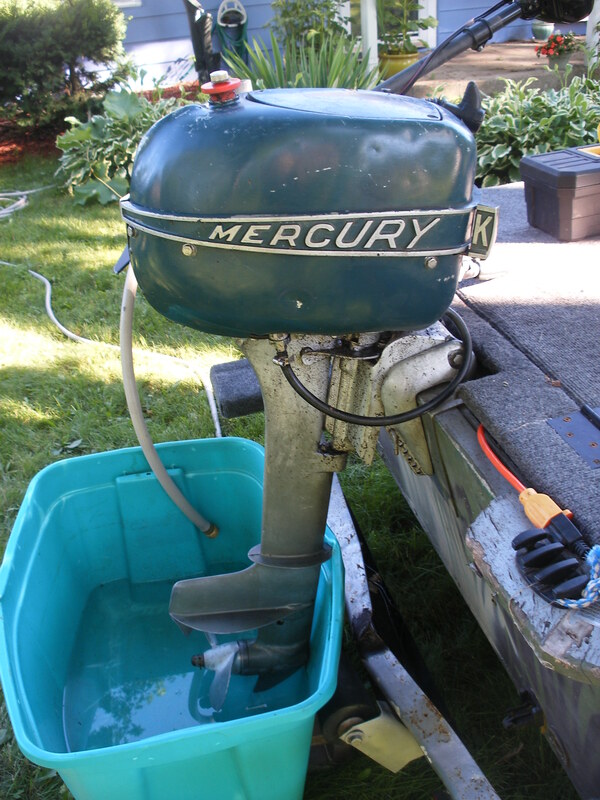 The carburetor is in dire need of a cleaning and some replacement parts. There’s still oil in the engine, it’s clean and there’s plenty of it. The connections and surfaces on and under the distributor cap all look like new. The sparkplugs are rusted and will definitely be replaced. We’re going to buy new hoses and replace the fan belt on the front, in case any of those rubber parts are dry rotted. Then we’ll try getting it started, in the hopes that it won’t need too much further work. Things are a bit slow around these parts lately. I never did get out the last two days of my turkey season, work had me come in. I’m debating getting a leftover tag for mid-May, if there are any. But that will be a break period between one semester and an accelerated summer course I’m taking, and work should be getting nuts about then. Matt didn’t head up north this past weekend since they still have snow and ice up there. He has a leftover tag for down here for the second-to-last season. I39 Southbound. 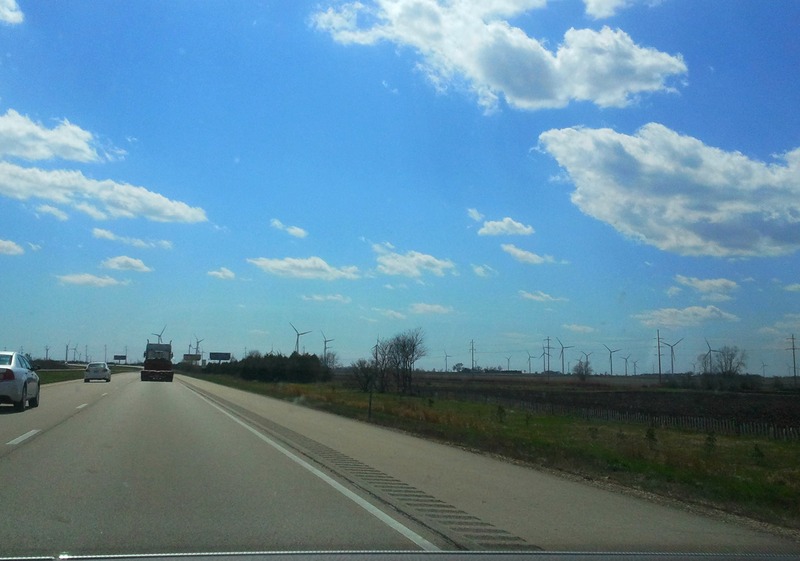 Wind turbines at Paw Paw. I spent the weekend back home visiting my family. The weather was much warmer and my nephew is getting huge. 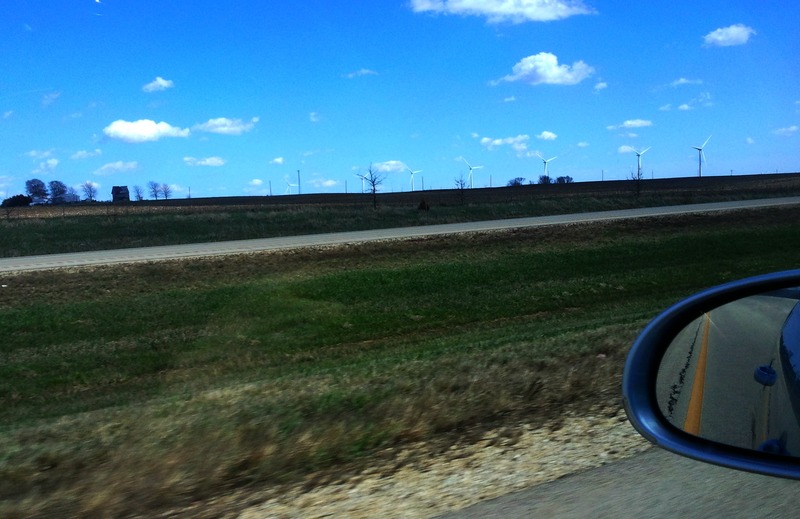 My invitation to hunt down in Illinois was renewed, and I got my first sunburn of the year. 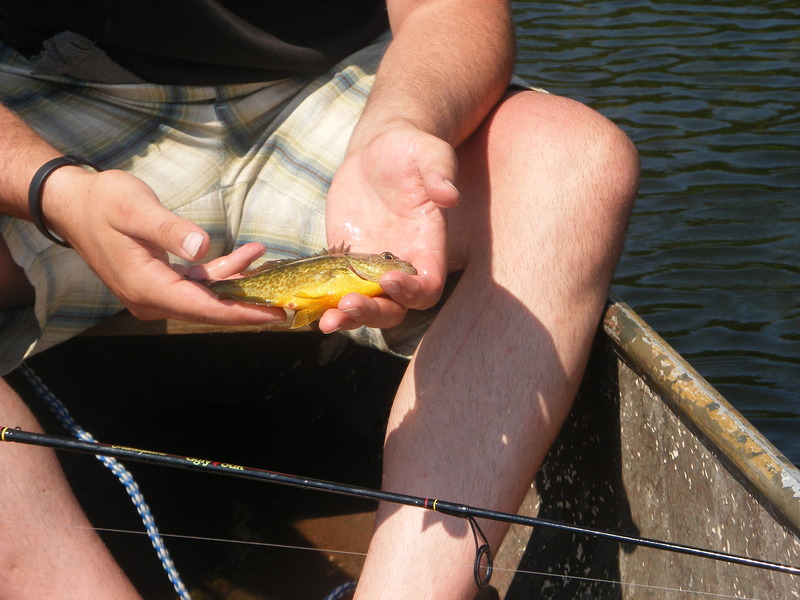 Besides that, our fishing season opens back up this coming weekend. We have a wedding to attend Saturday evening, but I’m working on Matt to head out Saturday morning to fish, and probably Sunday as well. We’re a little wary to take the poor old jon boat out. The transom has begun to sort of fall off, and it leaks. Matt’s got his eye on a new G3 boat. 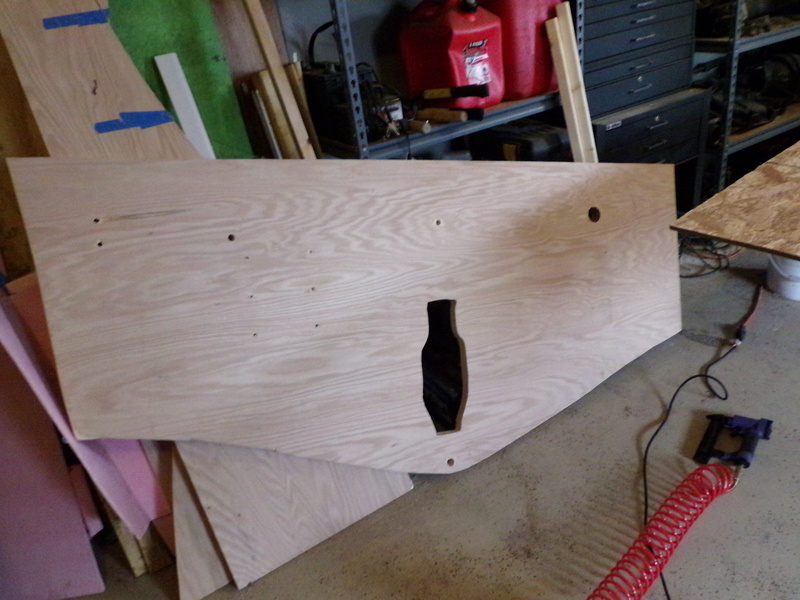 Speaking of boats, Matt cut out and glued together the transom for the big boat. We had to special order marine-grade plywood at our local Home Depot. 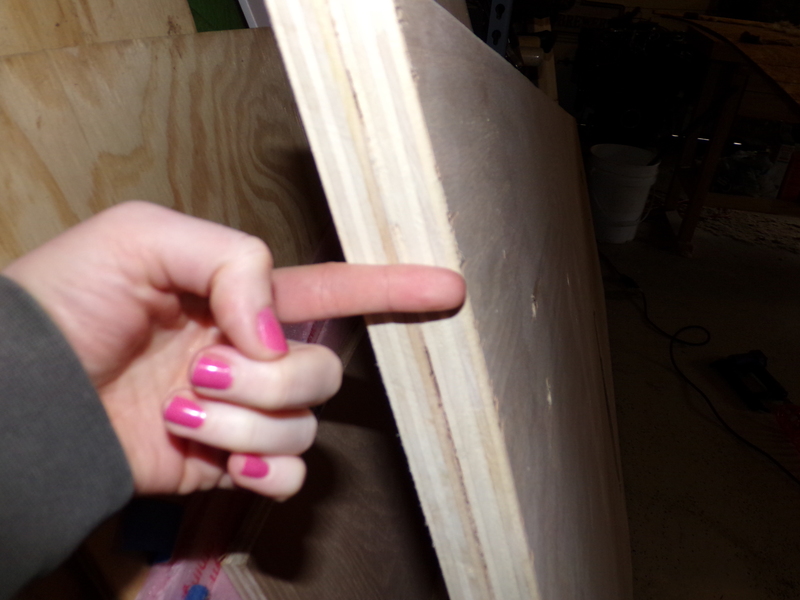 It’s two pieces of 3/4 inch plywood glued together with Liquid Nails. The Liquid Nails had a 7-day cure time, so we’ll use something else to glue anything else on the boat. And then there’s not much else. The outlook for the week is chill and rainy. 40’s and rain almost every single day. I’m sort of glad I soaked up too much of that 70 degree sun on Saturday. Ugh, this boat trailer. The bad luck continues- I finally got it in to a specialty rim/wheel warehouse to see if the hub or rim could be replaced. Within about 20 seconds of looking at it, the guy at the counter says the hub can’t be replaced. And the only 13 inch rims they have? Are for front-wheel drive cars. According to the warehouse guy, the lug studs are in wrong, and would cause the same amount of wobble, and blow the tire again. They’re only approximately the same size, as with everything else, because we couldn’t find exact matches to the ones we had. They won’t seat flush with the inside of the hub. 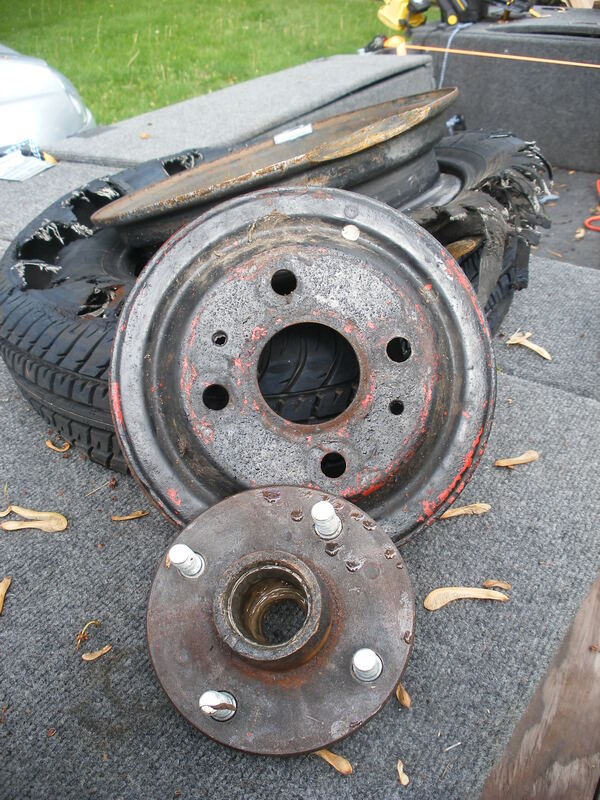 Our only option for keeping this trailer now is to replace the entire axle, hubs, rims, and tires. For around $200. We paid about the same amount for this trailer. I told him that if we decided to go that route, that I’d order it by Friday. Matt managed to push the boat and trailer out of the driveway and into the middle of the front yard. Now I can at least get the Bagster picked up, and we can shuffle things around. We’ll pull the big boat forward to block it up and patch the hull. 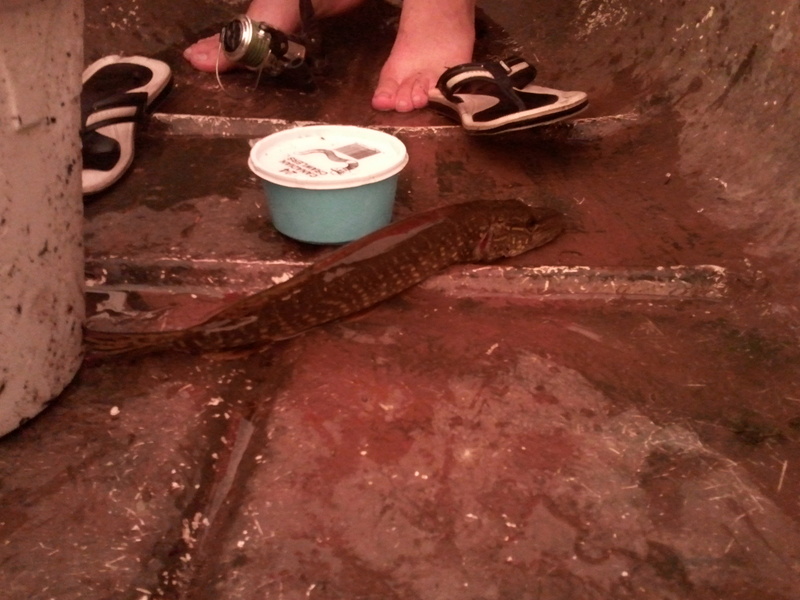 Sadly, this means no bowfishing this weekend. We’re headed down to my home in Illinois so I can see my family, celebrate my sister’s birthday, and finally meet my nephew. We wanted to bowfish for Asian carp. Now we can’t. Fun With Vintage Wiring and Possibly Transistors. Maybe Vacuum Tubes. Just a quick blurb this evening. I got into the boat on my own today to do a bit of work. After spending most of the afternoon digging holes, putting flowers into them, and getting a sunburn, I decided to take on that wiring harness. 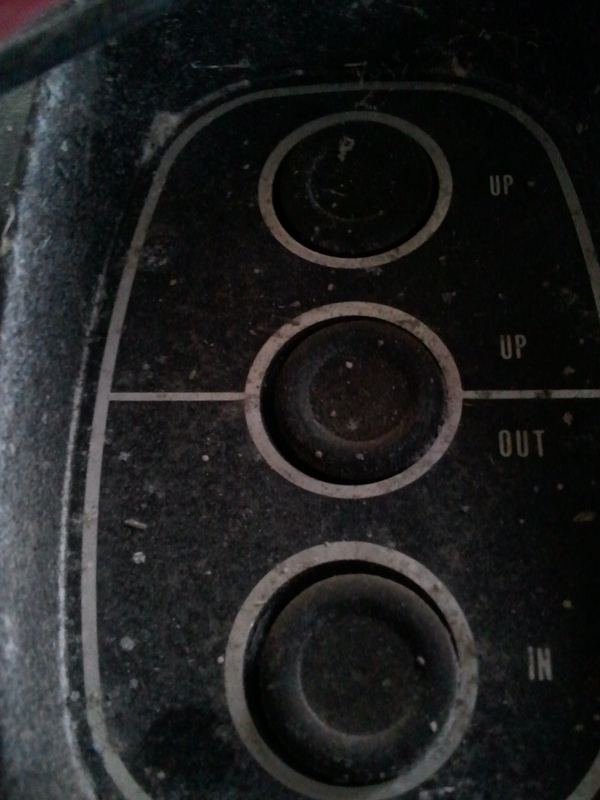 That is the back side of the console. Yikes, right? 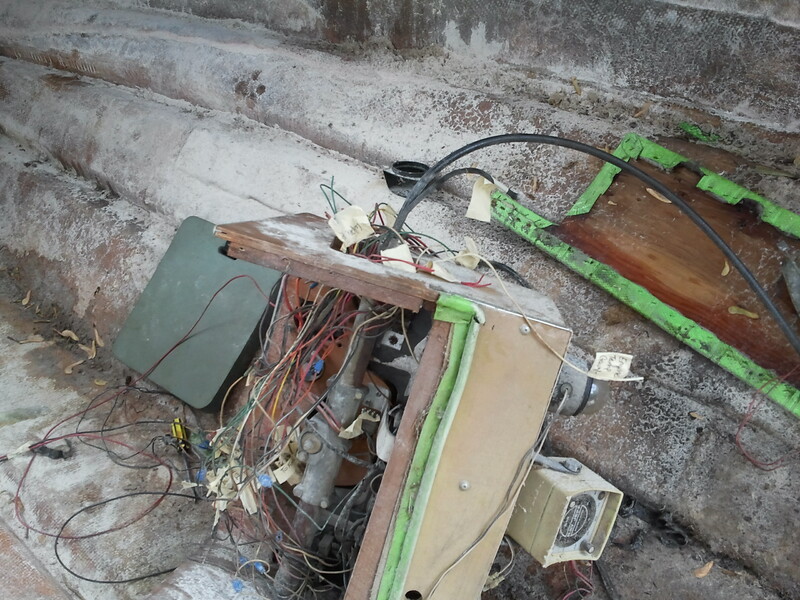 Most of that rat’s nest went toward the rear of the boat, I assume to the battery. They were all bundled like this. In old zip ties and old electrical tape. 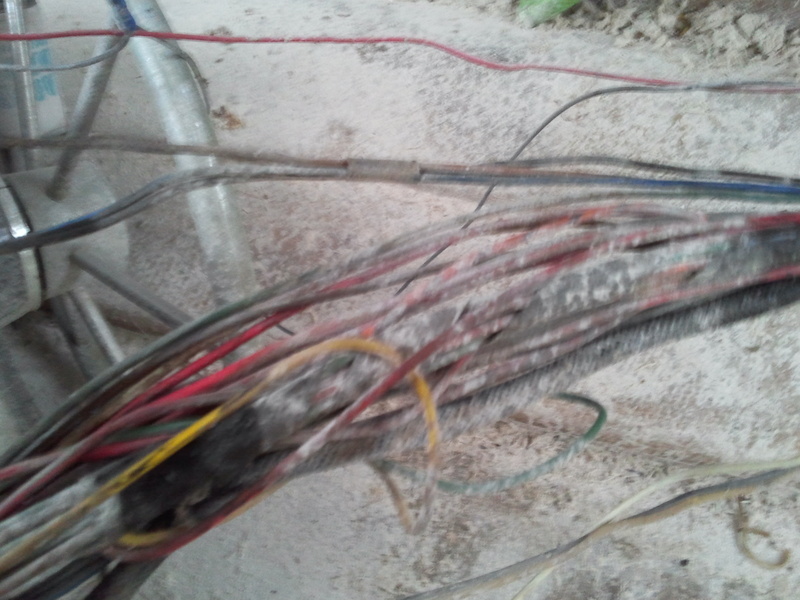 With apparently random splices and changes of wire color. And wires woven around each other. Whatever electrician did this was certainly whimsical. I got roughly half of the wires snipped and labelled. Mostly, it was the easy ones running to lights, the horn, windshield wipers. However, I was racing against this, and sunset. 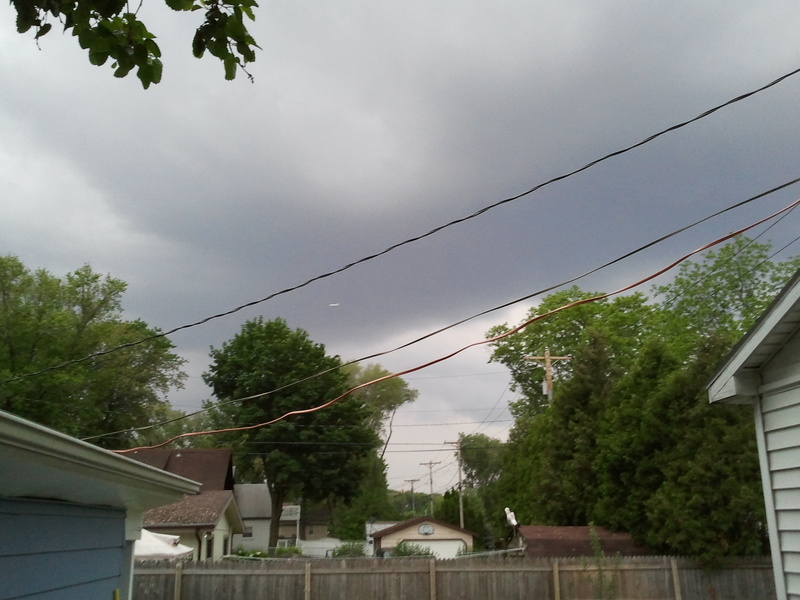 It looked much more ominous in person. And I was losing. I got inside just as it began to rain. Anyways, my plan is to snip the wires near the console, flag them with a masking tape/Sharpie label stating what they run to. And then I flag them further up the circuit, close to where they connect to the device, since that’s where the label will stay fairly sheltered. For examples, I labelled two exterior lights, two interior lights, the horn, windshield wipers, and the engine temp gauge. We figure that when it comes time to re-wire, whether we use the old console or not, we can splice everything back together. 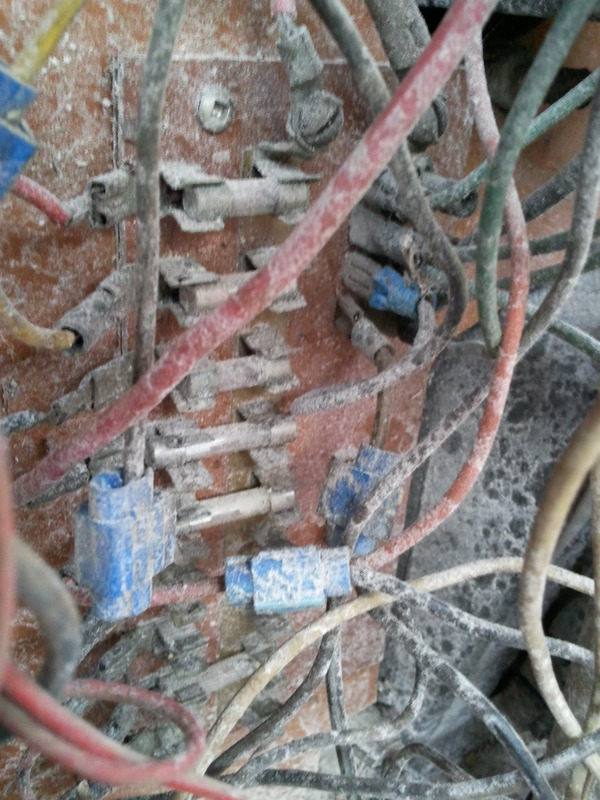 The previous electrician certainly did so with reckless abandon. Oh, the 70s. Since the storm brought premature darkness, I plan to move along to the much, much more complicated wiring of the switches and gauges tomorrow. 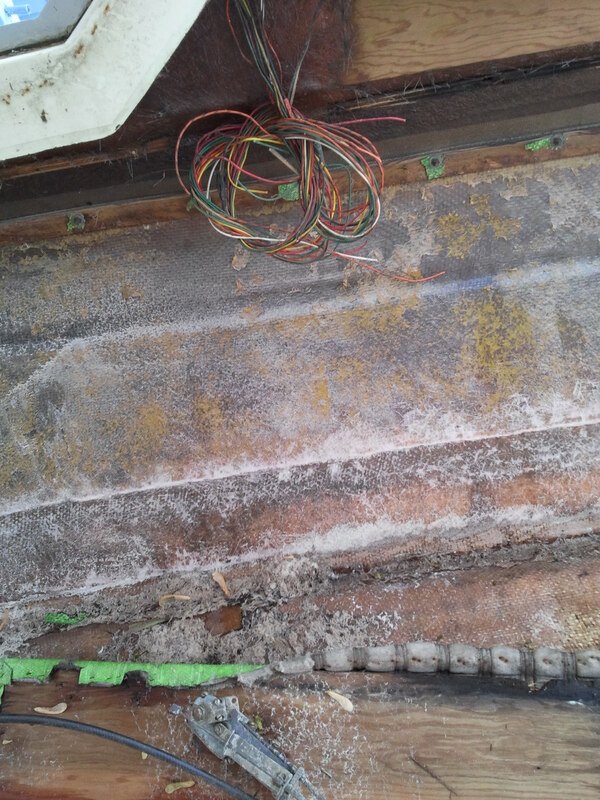 Once we pull the electrical that is just dangling with the console, we can hose out the old fiberglass dust and make the boat much less itchy over all.